Skill and compassion go hand in hand when providing exceptional patient care. As dental professionals, we stay up to date on the latest advancements in dentistry in order to provide the most current treatment options for our patients. As doctors, we recognize that our patients are unique individuals who have placed a great deal of trust in our team. Dr. Hipolito has spent many years acquiring the knowledge and training necessary to assure that your child will receive superb, quality restorative and preventive dentistry. He received his Bachelors of Science Degree from the University of California, Santa Cruz before attending dental school at the University of California, San Francisco. He then completed a fellowship at the Veteran Affairs Medical Center in San Francisco and worked as a general dentist in the Bay Area. Dr. Hipolito completed a three- year pediatric dental residency at the University of California, San Francisco where he received extensive training in caring for infants, children, adolescents & patients with special needs. As of 2012, Dr. Hipolito received privileges at Kaiser Permanente to treat children and special needs patients under general anesthesia and works closely with their Pediatric Medicine Department. Dr. Hipolito is a member of the American Dental Association, California Dental Association, and the Southern Alameda County Dental Society. Dr. Hipolito is fluent in both English and Spanish. Dr. Hipolito lives in the East Bay Area with his wife Sonia and their two children, Mateo and Emilio. 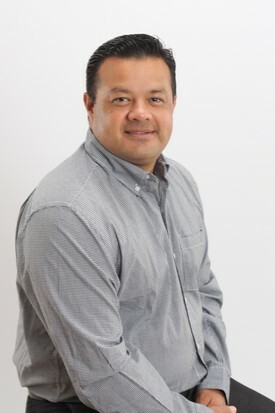 In his spare time, Dr. Hipolito enjoys watching the Oakland A's and the Golden State Warriors! 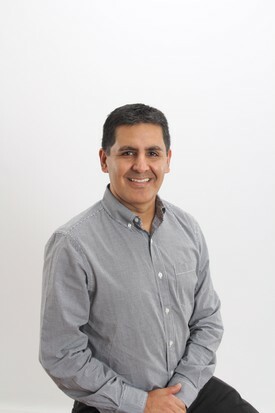 Dr. Rene Yabar was born and raised in Peru and received his Doctor of Dental Surgery Degree and first Certificate in Orthodontics from Cayetano Heredia Peruvian University. Always wishing to continue his studies Dr. Yabar moved to Farmington, CT where he completed a Post-Doctoral Fellowship in Orthodontics and then on to the University of Rochester in Rochester, NY where he obtained his Certificates in Orthodontics and Temporo-Mandibular Disorders at the Eastman Institute for Oral Health. Dr. Yabar has also completed a mini-residency in Dental Sleep Medicine at UCLA and has been active in the treatment of children and adults who suffer from Obstructive Sleep Apnea. Dr. Yabar has proudly been practicing Orthodontics in the Bay Area Since 2007.